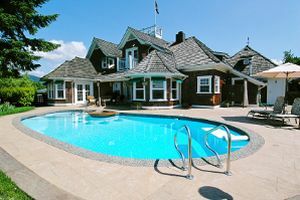 If you are one of the many Toronto homeowners on the search for a professional pool company that you can trust to provide you with the high quality services you need to keep your home's pool in the best shape possible, or you are looking to have a new pool installed, the only name you need to know is Olympic Pool Services. Since we first opened our doors to the public back in 2003, our operation has been steadily growing each and every year, and this is thanks in large part to our dedication in ensuring each and every one of our valued customers gets the high quality results they need from their service to keep their pool a safe and enjoyable place to spend time and relax with family and friends. 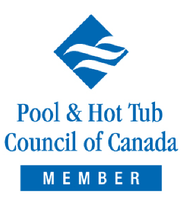 Are you looking for the name of a professional Toronto pool company you can trust to help you keep your home's pool in pristine condition? If so, give our team of pool service experts a call today and let us show you the kind of quality care that has helped to make us the premier name in Toronto pool services. Here at Olympic Pool Services, service is our first and foremost priority. Our team of pool service pros are constantly taking courses and attending pool shows and seminars to ensure we stay up-to-date on all of the latest and greatest pool service techniques and technologies so we can provide them to our valued customers. When it comes to our full line of regular pool maintenance services, we pride ourselves on our ability to adhere to a strictly agreed upon schedule with each and every one of our customers, letting you know exactly when your pool is going to be serviced so you can plan your day around it accordingly. Additionally, your regular pool service will be carried out by the same pool technician each and every time, giving you a more personalized service and helping you keep careful track of your pool's maintenance history. Here at Olympic Pool Services, we understand that the pool season is somewhat short, and we are here to do everything in our power to ensure you get the care you need to enjoy every minute of it. All phone calls we receive are returned within one business day, and we even offer 24 hour service to all of our full-service pool customers. For quality, reliable pool services, you can always count on the team of professionals here at Olympic Pool Services to get the job done, and get it done right. "Thanks for helping us keep our pool clean and opening and closing it up for us. We had the best season to date. Thanks again, See you in the spring!"